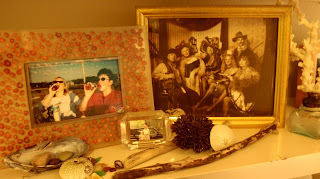 I admit it, I am a collector of stuff. Books, sea glass, shells, vintage coastal pieces, photos, driftwood - I need a place to empty my pockets when I get home from the beach. Poor Tom finds sea glass everywhere; in the dryer, in the car, in the couch cushions..... have I ever mentioned that he is a saint? 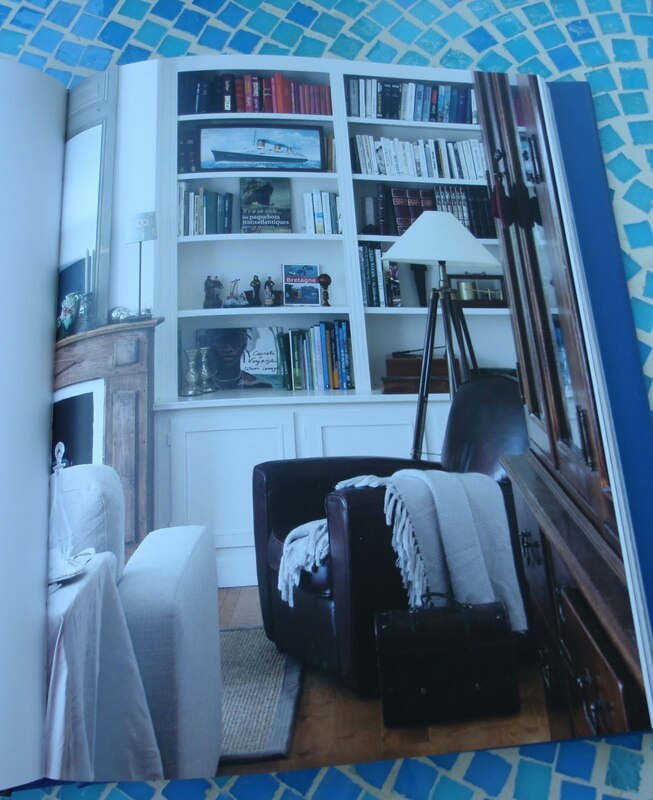 Got out the design books this past week, and did some searching on the internet to find some great beach house book shelf ideas. 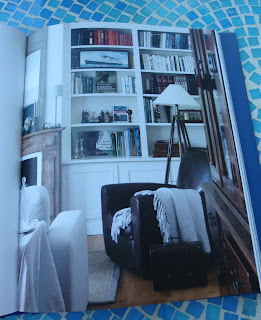 Here's just a few pics that I found to inspire me to redo my "hot-mess" of a bookshelf! 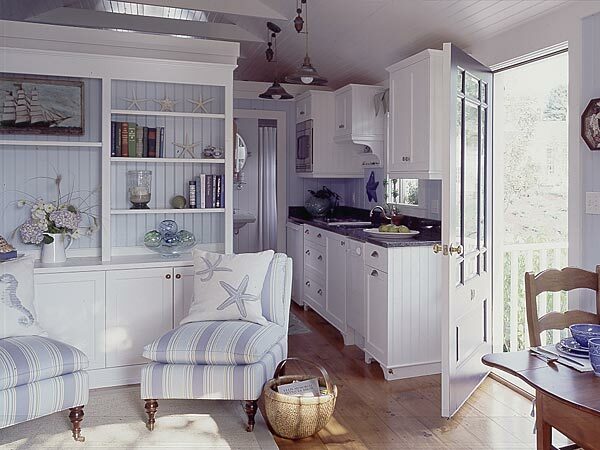 Cottage inspired bookshelf with classic bead board styling, glass floats and pretty white starfish (image courtesy of Coastal Living Magazine) Needs a little more color for me, but still very pretty! What do you think? 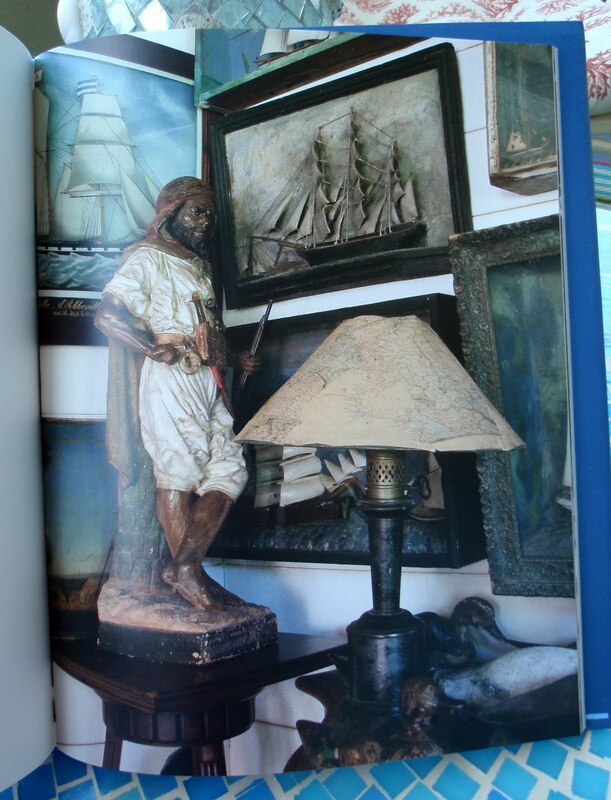 What do you display on your bookshelf? My bookshelf is really a reflection of me, and what I love. 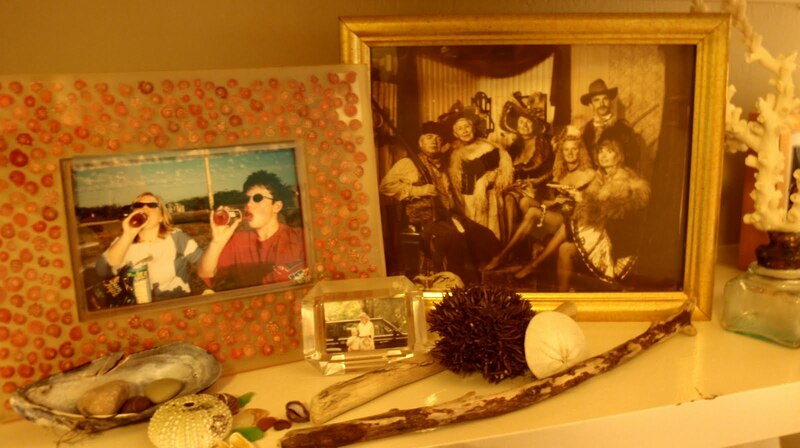 Especially the photos and memories of my family, it's so hard to be away from them, and it helps to see their faces every day on my beach-inspired bookshelf. Susan's art, "Coastal Collections" can be found on our site! Would love to hear your ideas! 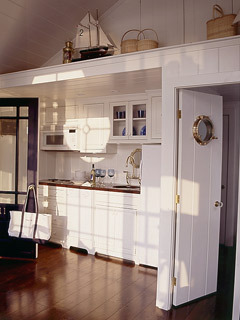 Have a great Tuesday - we're off to Las Vegas to find more coastal home decor products for our customers - wish us luck! Love them all - very inspiring, especially all those shelves. I really like the idea of having a different color for the background of the shelves. Great post. I love all those ideas. especially the aqua painted one. I found a great old beadboard shelf for hanging on the wall , on day shopping with my sis, that I just had to get. 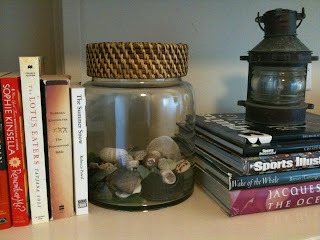 It's a pretty sea green and I love putting pics of my kids when they were little at the beach on it! 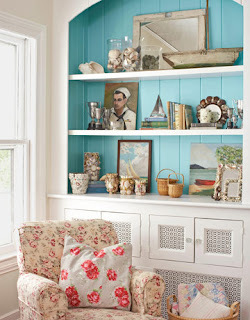 I love that beachy dresser with aqua. 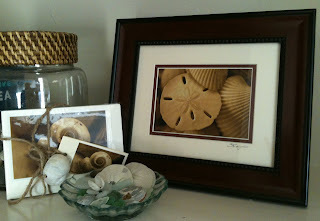 What a great collection of beachy things. 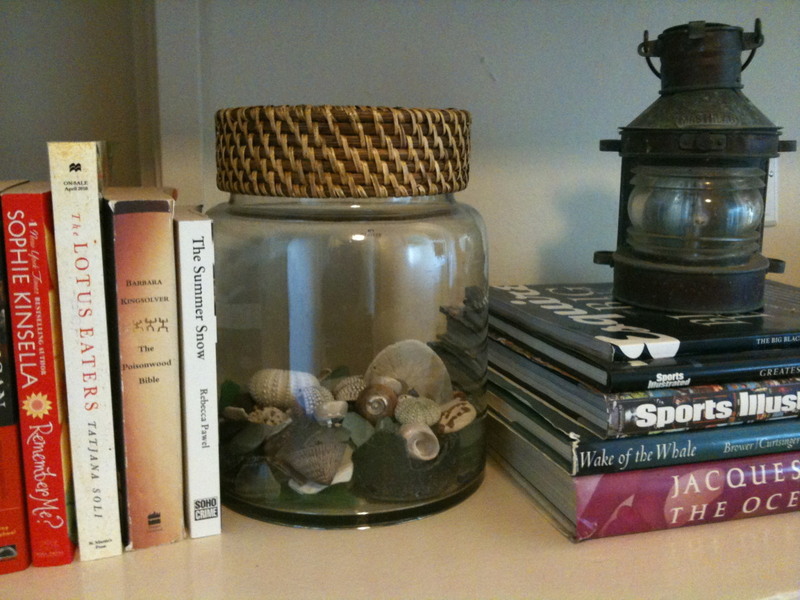 A Creative Sea Glass Lamp! We have a Sea Turtle Pillow Winner!